This article is about the foundation of the Medical History Museum founded recently in Istanbul as part of the Istanbul University Cerrahpasa Medical School. The aim of this museum, founded by Professor Nil Sari in 1986, is to save old material from being lost, to be preserved for the following generations and to be used as a means of education for describing the evolution of medical knowledge and technology. Figure 1: Façade of the History of Medicine Museum. Intellectuals interested in history of medicine and professional historians of medicine in Turkey are fond of dealing with historical material, equipment, and visit museums where old works of art are exhibited or study manuscripts and old prints ranged on the shelves of libraries. Pieces exhibited in museums are approached with a warm feeling and imagination of the way past generations lived, how they were dressed, the tools and equipments they used, the works of art and handwork they produced etc. However, we rarely come across medical historians who are interested in collecting documents or tools of medical history. Starting from the early years of the foundation of the first Medical History Institution at Istanbul University in 1933 and the Medical History Society in 1938, only a few of many medical historians at tempted to collect pieces. One of them, the late professor Nafiz Uzluk of Ankara Medical School's Medical History Department collected some valuable antique surgical instruments and medical manuscripts, but wasn't able to found a museum. Some of the pieces he collected are kept in the Ethnography Museum of Ankara and others in Konya. The late professors of Istanbul University, Süheyl Ünver and Bedii Sehsuvaroglu are the founders of the medical history museum in the Medical History Department of the Istanbul Medical School. In 1983 I started a medical history museum in the Medical History and Deontology Department of Cerrahpasha Medical School and it was opened for visitors on 20. May. 1985. Ilter Uzel and Adnan Ataç founded a museum in 1997 at the Military Medical Academy in Ankara. In 2000 a museum of Trakya University was founded through the leadership of Ratip Kazancigil of the Medical History Department. Here, Turkish medical history is demonstrated by means of mannequins within the Sultan Bayezid II. Hospital in Edirne and was rewarded the European Council Museum Prize in 2004. Figure 2: General view of the first floor of the museum. Although there are a great number of medical historians in Turkey who deal with historical material, we can hardly assume that there are museums enough to correspond the number of the medical history departments and faculty members employed in the field. Studying the processes of the last seventy years, I came to believe that those who dealt with medical history were generally not interested in collecting and preserving historical material. However, those who want to present their relics apply to medical historians and want to lend them the medical instruments or books inherited from their family members, because they believe that medical historians are the people to whom these pieces should be trusted for keeping. We have to put forth questions on the role and responsibility of a medical historian in collecting, preserving, restoring, restituting and exhibiting pieces (relics, books, articles, tools, equipment, etc.) of interest in the field of medical history. Does a medical historian have to play a part and has to undertake the responsibility and even the obligation of collecting historical pieces concerning medicine? Medical historians deal with historical material, but collecting historical material and founding a museum is a special field of interest. As I look back to my adventure in starting a medical history museum, I realize that, everyone specialized and employed, as a medical historian should be conscious of the responsibility, appreciation and effort for collecting and protecting historical pieces for keeping and exhibiting in a museum, to be organized by a curator. However, no one could be forced to undertake the role of a curator, but a consciousness for preserving and avoiding loss of historical material has to be developed, even if no authority demands or questions such an enterprise and practice. Beginning to collect and keep old pieces increases the interest for collecting. I remember to have been highly pleased on finding the first Crookes tube or the first brass monocular microscope and the one used in the Hospital for Children founded by Sultan Abdülhamid II, with the name of the hospital written on it. However, it must be remembered that I have never attempted to own them myself, but collected pieces for the Cerrahpasha Medical School and the people. Why and how did I begin the hard work of starting a museum not expected from me as a part of my duty? On beginning to study in the field all the time I felt the lack and the need for a museum in our department. After being appointed as the director of the Medical History and Deontology Department of Cerrahpasha Medical School in 1983, I attempted to found a medical history museum. In fact, my main aim was to "save" old material from being thrown away and destroyed or lost. So far I have done my best and paid a great effort for collecting and keeping them together as many as I could. For example, whenever someone spoke to me about some medical books and documents sold in the antique booksellers' bazaar, I conceived it as a duty to buy and bring them to our department, if possible. Besides searching for relics in the shops of the dealers of old material, I also regarded it as a duty to request from families to donate the pieces they have. In collecting pieces in attempting to found a medical history museum soon after the beginning and during the process, I found myself face to face with various difficulties and problems. Relations with the donors; the continuous financial problems and the struggle in the antiquity market; the need for room and equipment for exhibition; and the need for professionals in the field were major problems. Difficulties started several questions to be solved. In collecting pieces from families of health practitioners one may come across some ingenuous problems. For example, of the pieces presented to you, when you select those you prefer to have, some of the donors might be unwilling to donate several of them. As a result of this risk of losing the opportunity to have some of the selected pieces, you might be obliged to accept all that is presented. However, the attitude of donors is an important factor and it differs whether one donates his/her own pieces or a deceased relative's pieces. Health professionals themselves mostly have not thought of preserving their old tools such as surgical instruments and equipment when new and more developed ones are invented and put into use. These old tools are usually not regarded suitable for keeping as decorative pieces of art and exhibiting at home. So, medical tools are got rid of in a short time, by dismissing them, because of shortage of space in the office or the house. Family members of health practitioners who pass away keep their relics for a period, but in the course of time, throw them away and get rid of them, because they are of no use for them and the need of the space they occupy in the house. So, often we were too late in getting in touch with families for obtaining these pieces, consequently some valuable material and instruments of medical history got lost. So far, the tradition for keeping such relics of parents and ancestors has not been established. On the contrary, families are generally unwilling to present relics such as photographs and documents of the deceased, which they believe to be private. On the other hand, pieces of decorative quality, such as drug cups, jars, bottles are kept at home for using and exhibition. Health institutions also behave in the same way, as the officers or authorities keep the decorative pieces in their own rooms for use, exhibition or storing. I remember a visit of ours to the old English Sailor's Hospital near the Galata Tower, where glass and porcelain drug containers, gilded with the words of "Pharmacy Imperial" were kept in a store. These were pieces of the Yildiz Palace pharmacy of Sultan Abdulhamid II. We were able to have only a few pieces of the smallest examples, for they refused to let us have the others. As professors Süheyl Ünver and Ekrem Kadri Unat, two late eminent medical historians expressed, all through Turkish history, a great deal of historical pieces got lost as a result of lack of appreciation, as well as fires, wars and earthquakes. Because of this misfortune, nearly all the pieces we have are of the late 19th and early 20th century. Figure 4: A poster displayed at the museum showing medical students and teachers of the Ottoman period, during an anatomy course going through dissection of corpses. Since our department never had money to buy any material for the museum, as an item never existed for this kind of purchase in the university budget, financial difficulties were inevitable. Often expenses were paid by the donations of close friends. Unfortunately, it was impossible to buy highly valuable pieces that were expensive. Still there are such known pieces, impossible to buy, because of monetary shortage. It is notable that after the foundation of the Cerrahpasha Museum, a market of historical material related with medicine started to develop; and pieces not regarded valuable formerly, have come to be considered as antiquities. Consequently, collectioners began to be seen in the market and they caused an increase of prices. Generally, customers came to be rich drug companies in the course of time. They regarded it as a means of prestige and respectability for the company. Consequently, demand for historical pieces to be collected rise because of various reasons: education, research, investment for gain (expensive pieces are means of investment), prestige (a need for respectability) or only as a hobby. As a medical historian, I might say, I collect material to be preserved for the following generations and to be used as a means of education for describing the evolution of medical knowledge and technology. 5. What Can Be Regarded As Valuable? Figure 5: Room for the researchers, where tiles are exhibited in the wardrobes. What kind of material, tools, documents etc. are worthy of being saved, collected and exhibited at a medical history museum? What are the criteria for the pieces to be considered valuable or regarded as precious? I remember the day when Rahmi Koç, the owner of the richest corporation in Turkey, visited the museum in the Medical History Department of Cerrahpasha Medical School and said that junks were exhibited with precious material, which he requested us to let him have as presents those pieces to be exhibited at his newly founded science history museum, for which he was going to thank us. From that day on, I concentrated on the following question, "what kind of medical equipment should be regarded so valuable as to collect, preserve and exhibit in a medical history museum?" I came to believe that relics of the late people and institutions of the past were of great value for us, whatever their prices might be; that is some pieces sold cheaply might be valuable for us. I have never regarded them as an investment for a future increase of price and gain, as collectioners. Let us have a look back to the question, "what kind of medical equipment are to be regarded so valuable as to collect, preserve and exhibit in a medical history museum?" This question, I believe calls another question to the mind. That is, "what is the aim of founding a medical history museum?" As a medical historian, I might say, "mainly, as a means of education". As I collect these pieces as an educator and use them for education to describe the development in medicine, I observe the following two criteria when one is willing to contribute to our museum with the pieces they plan to donate or sell: 1. pieces-instruments, equipment replaced by new inventions, so dropped out of use; 2. pieces different from those already existing in our museum may be accepted or bought. Relics from the health institutions in the past and the late health practitioners, even if not financially valuable, are worth for collecting and keeping, because they have come to be historical. Figure 6: Display of hand made reproductions of miniature paintings related with Islamic, Seljukian and Ottoman medical practice. Turning back and having a look through the efforts starting the collection, beginning with the earliest attempt to collect material, I perceived the importance of working with one trained and functioned as a curator. Collecting pieces and preparing them for exhibition needs specialization and experience. During the years 1983-6, those employed at the Medical History Department of Cerrahpasha Medical School were a young team of few numbers; that is, I, head of the Department (an associate professor), an assistant, a Turcologist, a librarian, and a secretary, all only beginners, lacking experience in organizing a museum. As a fact, problems to be solved followed one another. This adventure, however, ended in three years, the first medical history museum of our Department was arranged, and the foundation was started in 1986 in the largest hall of the Department. The weary effort of collecting material continued for twenty years. Since the beginning of the refoundation of the museum, I am in cooperation with curators and restorers of Istanbul, Turkey. I started with the suggestions and advices of associate professor Sümer Atasoy, architect Halil Onur and professor of restoration and restitution Sait Basaran. However, I continued and completed utilizing the advices of associate professor Fethiye Erbay. Having room for keeping pieces is no less important then providing money or support for obtaining these pieces by buying or getting them as presents. Exhibition in the first museum started in new wardrobes, provided by the financial support of firms and organized in a large room of the Department in 1983. In the course of time space in our Department came to be insufficient for keeping and exhibiting the pieces awarded during the last 20 years. This resulted in transferring the pieces to a historical four floored building, assigned by the president of Istanbul University. Built during the years 1911-1915, it was suitable to be turned into a museum. So, the Medical History Museum was started to be refounded in one of the oldest two buildings of the Cerrahpasha Medical School campus, in 2002. This building had served as a hospital until recent years and lately was used as the Dean's office. Having being organized as a Medical History Museum, the building was restored in accordance with its original design. Its historical architecture and symbolical aspects has made the building attractive for organizing a museum in it. However, the transformation of a historical hospital building to a museum has been a great problem. Present assistant president of Istanbul University, Professor Irfan Papilla continued to support the restoration and providing wardrobes and libraries. Figure 8: Tools used for preparing hand made drugs are exhibited in the room assigned for the display of drug therapy. I planned to organize the museum in 25 different sections. As this was an expensive enterprise, we could afford to have new exhibition wardrobes only for four halls. Our Medical School being the oldest in Turkey, we collected old wardrobes and repaired them. As a result, some of the old material are exhibited in old wardrobes. In the Museum, the development in medicine is reflected by means of miniature pictures, medical instruments, tools, photographs, old prints, manuscripts and documents. Utilizing this Museum the medical community will review and strengthen their interest in medical history and recall the late eminent Turkish professionals in the field of medicine. Most of the pieces exhibited belong to the late Ottoman and the early Turkish Republic period. There are 67 informative posters describing the institutions, health practitioners and laboratories of the period related with the material exhibited. Old photographs and documents help to inform the visitors. In the ground floor, miniature pictures reflecting Turkish medical history from the Seljukian to the Ottoman period are exhibited in four rooms. In the two rooms on the right, medical manuscripts and watercolours of materia medica are exhibited. The last room on the left is used as an archive, the last room on the right is assigned to researchers, and old Turkish tiles, hand made book binds and old prints are kept in the wardrobes. The hall of the ground floor is designed for temporary exhibitions and faculty members, medical practitioners, patients, medical students etc. display their works of art. The first hall in the second floor is assigned to material related with medical education, such as diplomas, note books, old text books and students' photographs. In the next rooms, instruments such as chimographs used for drug experiments; those for diagnosis, such as ophthalmoscopes and microscopes; and those used for therapy, such as ultrasounds are exhibited. On the third floor, in the room on the right, material related with drug therapy, such as mortars, scales, measures, drug containers and bottles are exhibited. Surgical instruments and material are exhibited in the room on the left. At the end of the hall, in the two rooms, Sultans' decrees and medals awarded to physicians and portraits are exhibited. The pieces in this museum are the richest collection in the field in Turkey, because of its rich variety. A part of the building is assigned as a library of historical medical books and archive documents. This museum is certainly an important centre of education and attaining knowledge for the members of Istanbul University and Cerrahpasha Medical School, as well as for the national and international medical history researchers. The building is organized, designed and decorated not only as a museum, but as a multi-intentional centre of medical culture as well, with its archive, libraries, rooms for researchers, exhibition hall for artists, seminar room, etc. It is also utilized as a centre of art, as every three weeks a new exhibition of the work of artists is organized. Patients, health practitioners, medical students, collectioners and professional artists take part in these activities. Figure 9: Ancient surgical instruments and posters exhibited in the room of surgical therapy. The aim of the founders of the Museum was to save old material from being lost, to be preserved for the following generations and to be used as a means of education for describing the evolution of medical knowledge and technology. Relics from shops of the dealers of old material and antique booksellers were bought; pieces from families, hospitals and offices were donated. 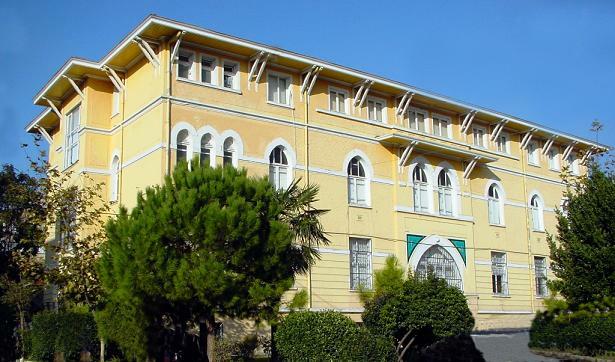 The first medical history museum was arranged and the foundation was started in 1986 in the largest hall of the Department of Medical History and Ethics, Cerrahpasa Medical Faculty, University of Istanbul. In the course of time, space in the Department came to be insufficient for keeping and exhibiting the pieces awarded during the last 20 years. This resulted in transferring the pieces to a historical four-floored building. Built during the years 1911-1915, it was suitable to be turned into a museum. This building had served as a hospital until recent years and lately was used as the Dean's office. Having being organized as a Medical History Museum, the building was restored in accordance with its original design. Its historical architecture and symbolical aspects made the building attractive for organizing a museum in it. In 2002, the Medical History Museum was started to be re-founded by Professor Dr. Nil Sari who worked with her PhD students. The museum was planned to be organized in 25 different sections. The development in medicine is reflected by means of miniature pictures, medical instruments, tools, photographs, old prints, manuscripts and documents. Utilizing this Museum the medical community will review and strengthen their interest in Turkish medical history and recall the late eminent Turkish professionals in the field of medicine. Most of the pieces exhibited belong to the late Ottoman and the early Turkish Republic period. There are informative posters describing the institutions, health practitioners and laboratories of the period related with the material exhibited. The ground floor: The hall of the ground floor is designed for temporary exhibitions and faculty members, medical practitioners, patients; medical students etc. display their works of art. In the two rooms on the right, medical manuscripts and watercolours of material medica are exhibited. Old Turkish tiles, hand made book binds and old prints are kept and exhibited at the room assigned to researchers. The last room on the left is used as an archive. Miniature pictures reflecting Turkish medical history from the Seljukian to the Ottoman period are exhibited in four rooms. The second floor: The first hall in the second floor is assigned to material related with medical education, such as diplomas, notebooks, old textbooks and students' photographs. In the next rooms, instruments such as chimographs used for drug experiments, doctors' everyday instruments such as stethoscopes, sphygmomanometers and ophthalmoscopes, a collection of etuves, autoclaves, different types of centrifuges, diagnostic instruments of ophthalmology such as focimeters, perimeters and bio microscopes (slit-lamp microscopes); balances, postal scales, mortars, bain-maries, instruments used for therapy, such as ultrasounds are exhibited. On the walls, the photographs of former medical congresses and physicians are displayed. The third floor: On the third floor, in the room on the right, material related with drug therapy, such as mortars, scales, measures, drug containers and bottles are exhibited. Poster depicting Ottoman pharmacies and advertisements of pharmaceutical drugs, tools used for preparing hand made drugs are exhibited in the room assigned for the display of drug therapy. Surgical instruments and posters displaying the period they were used are exhibited at the room of surgical therapy. At the end of the hall, in the two rooms, Sultans' decrees and medals awarded to physicians and portraits are exhibited. * Department of Medical History & Ethics, Cerrahpasa Medical Faculty, University of Istanbul, Turkey.